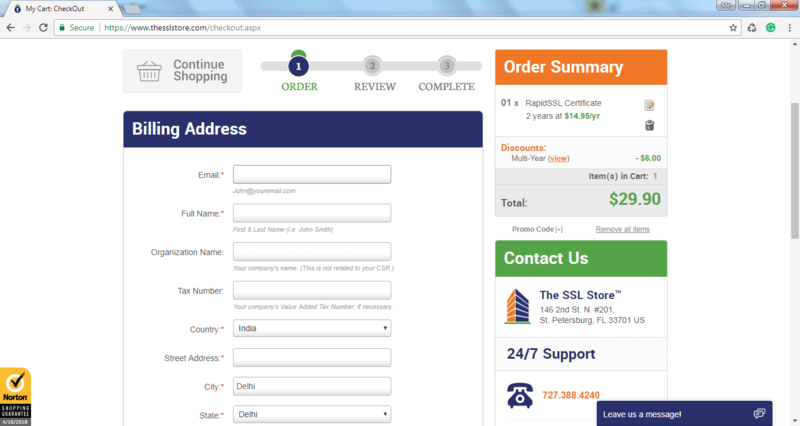 You can buy an SSL certificate directly from a CA or their reseller. thesslstore.com is a well-known website to buy SSL certificates of reputed CAs at the lowest price. 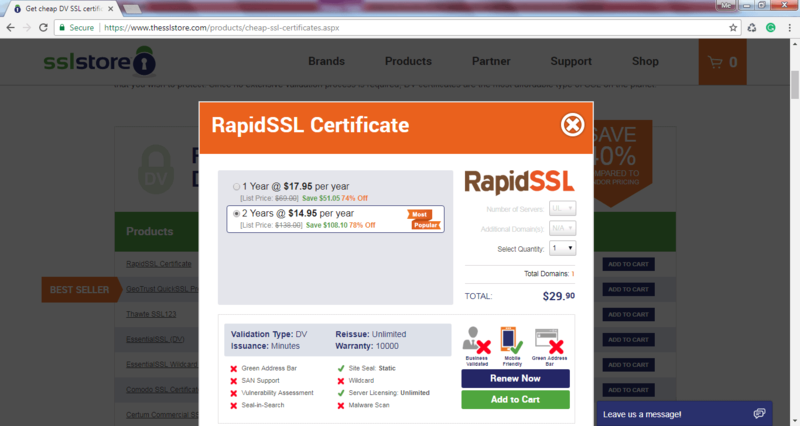 They offer SSL certificates from Symantec, GeoTrust, RapidSSL, thawte, Certum and COMODO. Visit their Brands page for more information. 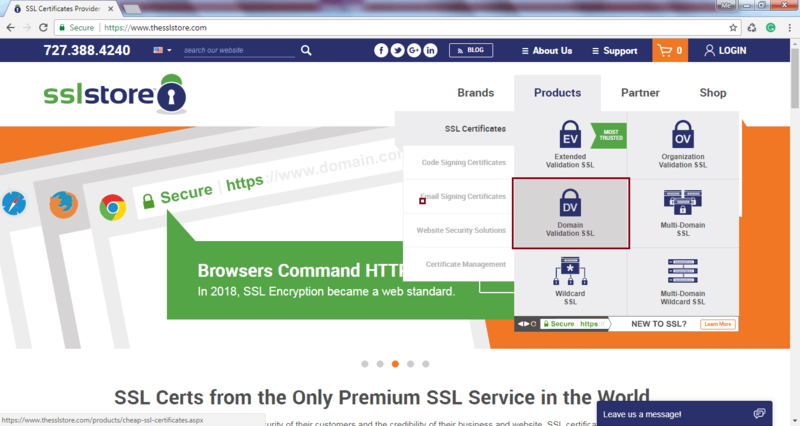 To buy an SSL certificate from thesslstore.com, mouse hover on the Products menu and click on the type of certificate you want. For example, let's select Domain Validation SSL, as shown below. 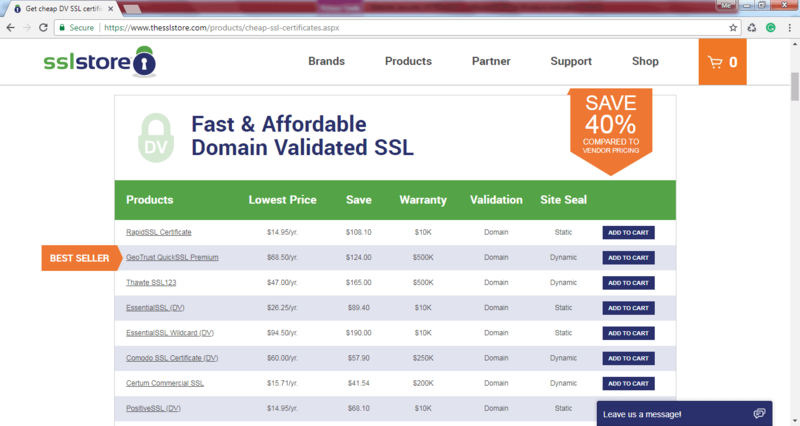 On the SSL certificates page, you will see the list of affordable SSL certificates from different CAs. Scroll down to see more cheap DV certificate options from all the CAs. Select an appropriate certificate and CA and click ADD TO CART. This will open a popup with your selected certificate as shown below. Click on the Add to Cart button in the popup to checkout. In the next page, provide the billing address and payment details and click Continue. In the next page, review the information, copy paste your CSR and submit it. You also need to validate the information. Once it is done, you will receive your certificate via email. This will be a zip file containing an SSL Certificate and intermediate certificates which you need to install on your web server. Before installing a certificate on your web server, it is important to understand the formats and file types of SSL certificates. Learn about them in the next chapter.